Venezuelan authorities seized 3.8 million toys from one of the country’s main distributors, accusing it of hoarding and hiking prices. They promised that the seized goods would be distributed among poor children. 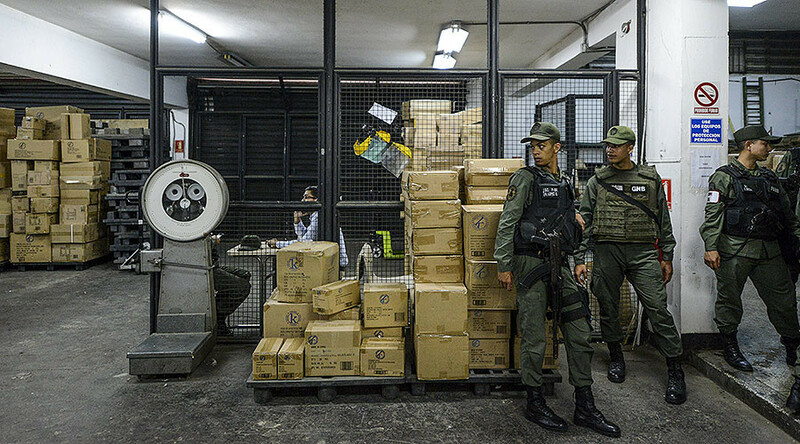 Venezuela’s country fair pricing watchdog Sundde seized toys that distributor Kreisel kept in three warehouses located in Caracas and Guarenas on Friday, local media reported. Meanwhile, authorities ensured local supply committees (CLAPs), created in April, would distribute subsidized food and commodities, to “fairly” spread the confiscated toys among poor children. “Children in our country will have a happy Christmas,” Sundde’s chief William Contreras told reporters after the seizure. Kreisel underreported its inventory, planning to sell the toys at higher prices, Contreras said. Kreisel has not officially responded to the allegations, although it answered to messages of support on Twitter. “Kreisel abuses its dominant position and we will activate all legal mechanisms to defend our people,” one of Sundde’s tweets says. The operation is expected to teach other companies in Venezuela that it’s prohibited to “play with the rights of Venezuelans,” Contreras said, according to AFP. — Sundde (@sundde_ve) 10 декабря 2016 г.
Kreisel’s two managers were arrested and accused of fraud and economic boycott. Sundde is also calling to ban them from leaving the country. Venezuela is currently struggling with the highest inflation in the world, estimated at 475 percent by 2016, according to the IMF. Its Bolivar lost 75 percent of its value since last September. The toys imported to Venezuela between 2008 and 2014 were stored in Kreisel warehouses to be sold with surcharges of up to 34,000 percent, Contreras said. Last week, the government ordered stores to slash prices by 30 percent, with business owners complaining that the move pushes them to bankruptcy. However, many customers welcomed the decision.